Hong Kong is the most beautiful country to live and work in the world. The country emerged as the sought destination for people who wish to work overseas. 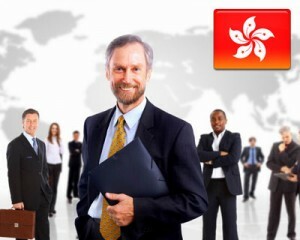 Hong Kong offers a number of opportunities for skilled professionals. Individuals who wish to live and work in Hong Kong need to obtain a Hong Kong Work Visa to enter the country. Hong Kong Work Visa can be easily obtained by the individuals with right set of skills, qualifications and proper research. Foreign skilled professionals can get Hong Kong Work Visa under the Employment for Professionals scheme, which is designed by the Hong Kong government. There is no cap on the number of visas issued to individuals. Professionals with specific skills and qualifications that are not readily available in Hong Kong will be able to apply for Hong Kong Work Visa easily. Educational qualifications with relevant degree, sound technical knowledge, exceptional achievements and experience in their chosen fields. The firm that offers employment must demonstrate that the vacancy is filled by an oversea employee due to the unavailability of the suitable candidate in Hong Kong. Proof stating that employee will contribute towards the development of Hong Kong economy. Submit employment contract, which should include all the details of the designation, salary, benefits and duration. Hong Kong Work visa is valid for a period of one year and can be renewed as long as the employee continues to work for the company. So, if you are highly qualified and your skills are highly needed in the country, then you can apply for Hong Kong Work Visa. If you are willing to get a work visa, just fill out MoreVisas Enquiry Form, so that one of our visa executive will approach you soon.